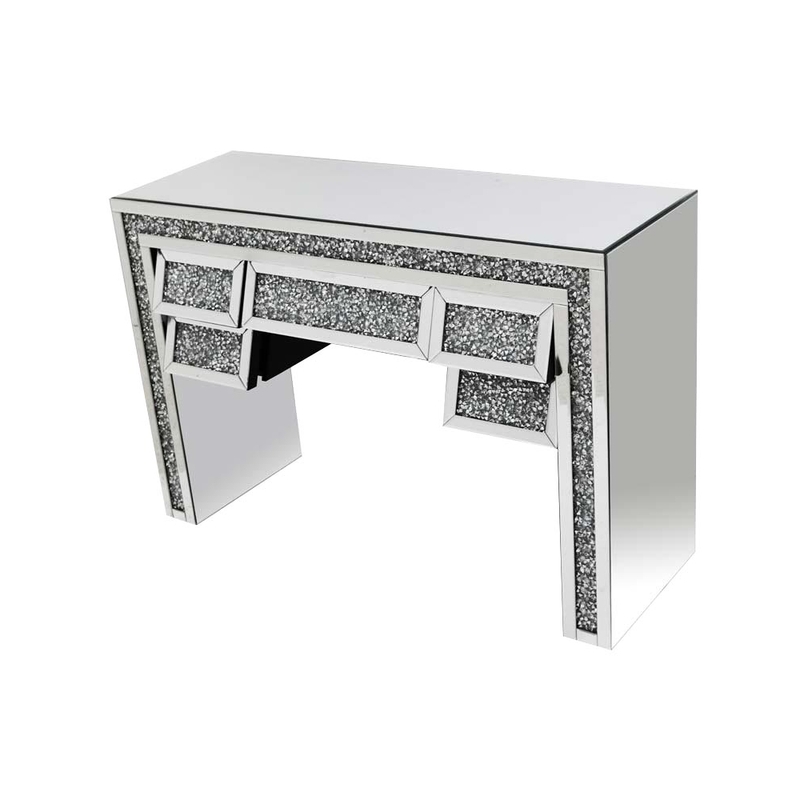 This is a beautiful mirrored dressing table that has an original and modern design. This dressing table has five draws along the front of it which are all angled. This is a unique and different sign, it is not a crazy design but it still holds so much uniqueness in it. This front is also finished in a crystal like diamond which helps bring elegance to the dressing table. This table is the perfect table if you want your room to have a modern and contemporary look.